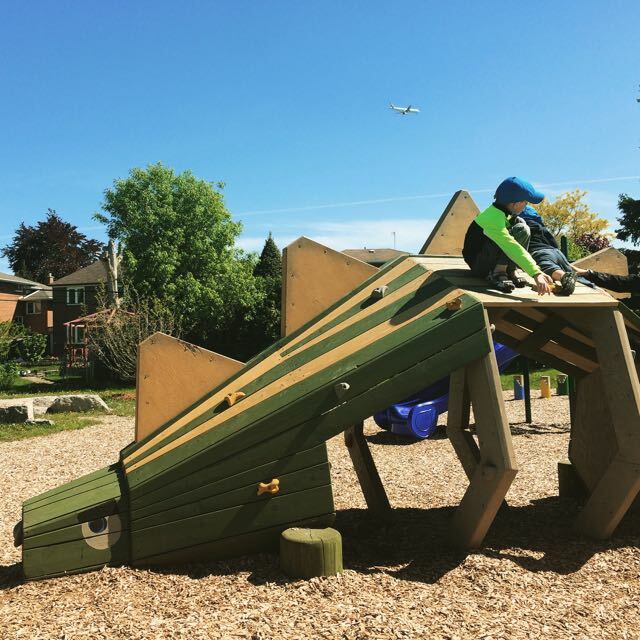 T-Rex Park | Kids in T.O. When you’re park-hoppers (like us), you get to know Toronto’s world of playgrounds — the old school metal-meets-plastic that reminds you of your own childhood, the cool ones (like the castle in High Park, the pirate ship at Cherry Beach Soccer Fields or UnderPass Park by Corktown Common) and the newer styles rolling out across the city like Allan Gardens and Regent Park. 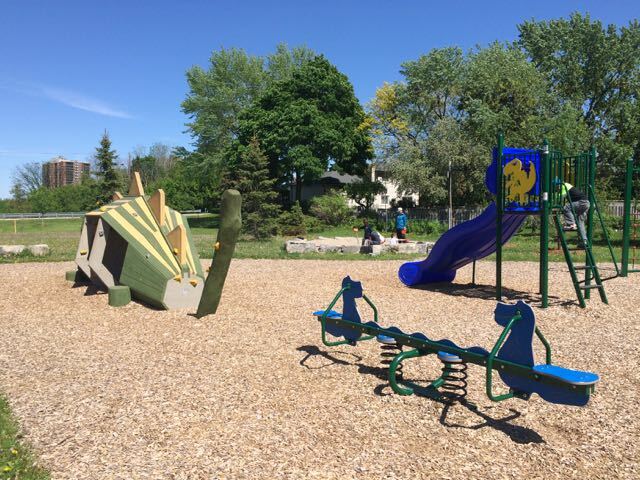 For Toronto’s T-Rex Park, six children from the neighbhourhood worked together with local volunteers and the Giver team to build and improve their new playground. We stopped by earlier this summer en route to the airport. Fun. 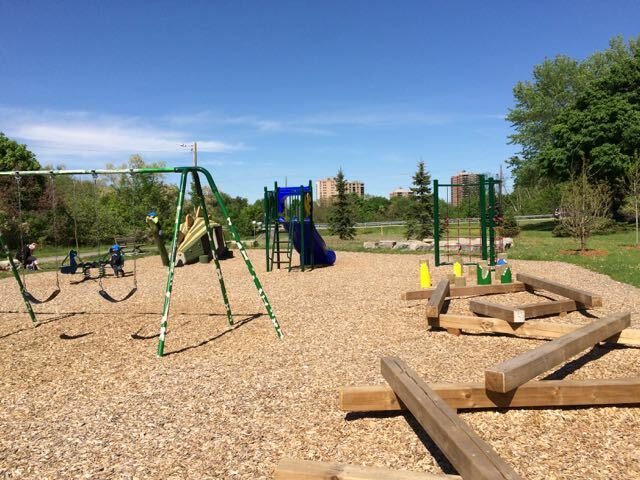 This is what we found: a stegosaurus climber (built by Earthscape, a natural playground design company based in Elmira, Ontario), a T-Rex-themed double slide, dino teeter-totter, dino relay race, including balance beam and stepping stones, a swing set, dino-claw-shaped sandbox, a new garden and benches. You can watch the episode and see how it was done. Getting there: Elms Park is located at 25 Auburndale Ct. (east of Islington Avenue off Bergamot Avenue). The playground is actually located a bit farther east along the pathway running from Bergamot Avenue to Norfield Crescent. (There is free residential parking – we parked along Norfield Crescent.) You can take the 337 Islington bus from Bloor-Danforth line. Bike Path: There are bike paths that hook up to the Humber River Recreational Trail. Potty time: No bathrooms on site.